Above. A view from the top of Cliffords Tower, looking out across the bailey area towards the South. Above. The Southernmost surviving tower on Tower Street. About eighty five metres of wall survives at the Southern end of the castle, with two large towers still standing. 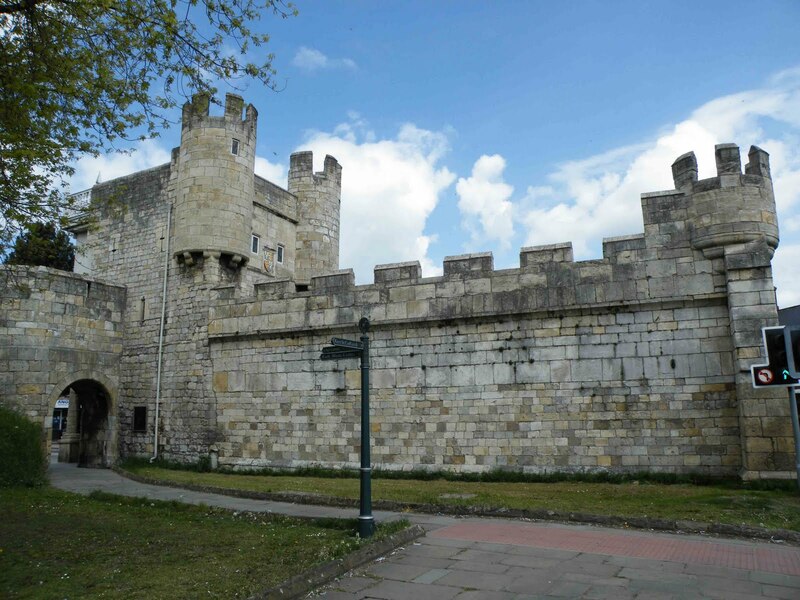 This portion of wall and the towers are thought to have been built around 1250, but have undergone rebuilding and repairs from the 17th, 18th and 19th centuries. From air photos, the tower shown above (the Southern most tower) is three quarters round, whilst the tower shown in the last photo, is only half round. Both are now incorporated into the museum buildings. Above. The Southernmost tower from another angle. Above. The second of the two surviving towers can just be seen above the building in the foreground. Above. A view looking back towards Cliffords Tower. This is the official website of Cliffords Tower. 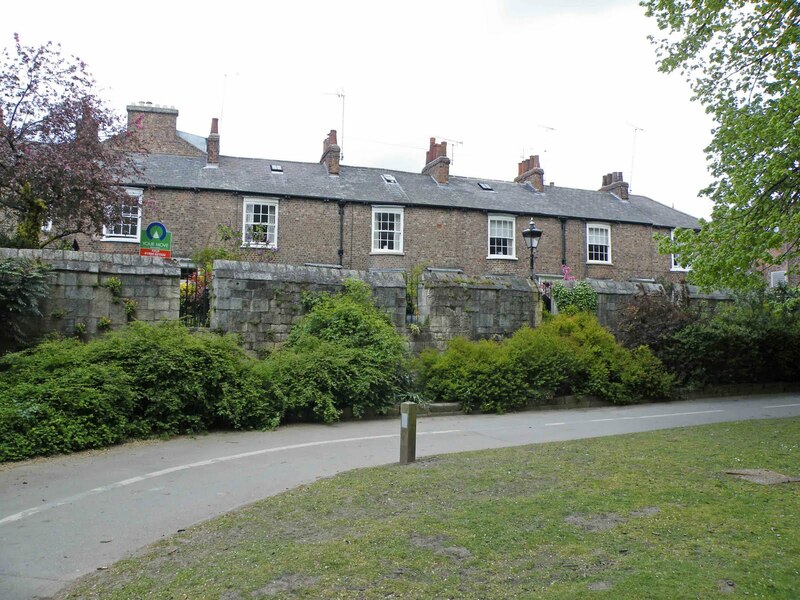 And this is the official website of York Museum. Tower 32 is situated about a hundred yards West of tower 34, and sits at the angle of a dog leg in the walls. Sometimes referred to as the New Tower, its most formidable name was "novam turrim super cornerium versus le jubiry" in 1380. Above. 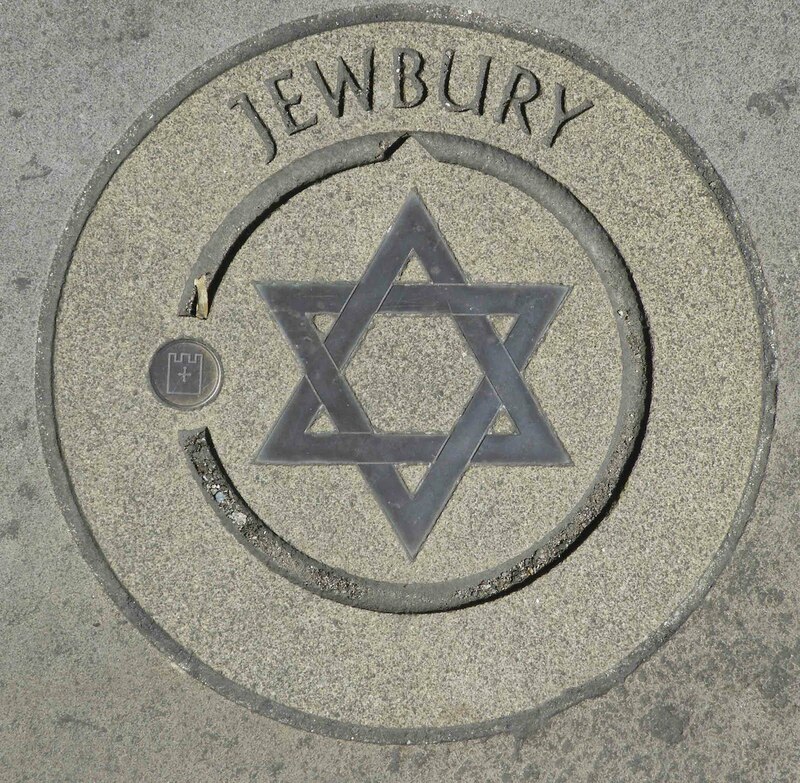 The marker that can be found in the floor of the wall walk. 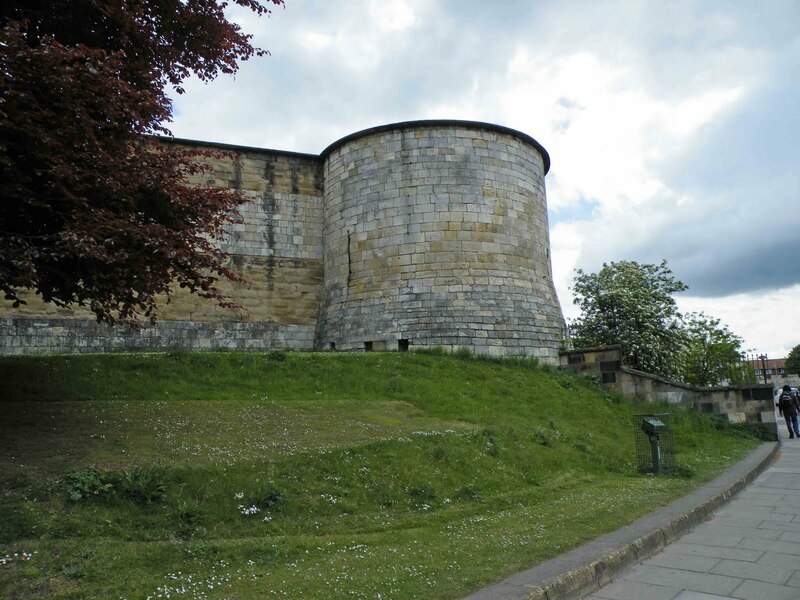 The tower is one of the many oval shaped structures on the city's walls, and would originally have had a timber building on top of it. Above. A view of the tower from outside the walls. 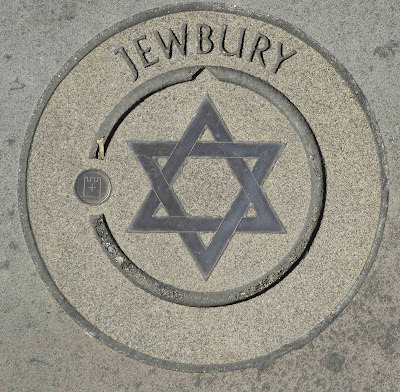 This link points to an interesting article on the Jewish cemetery here at York. 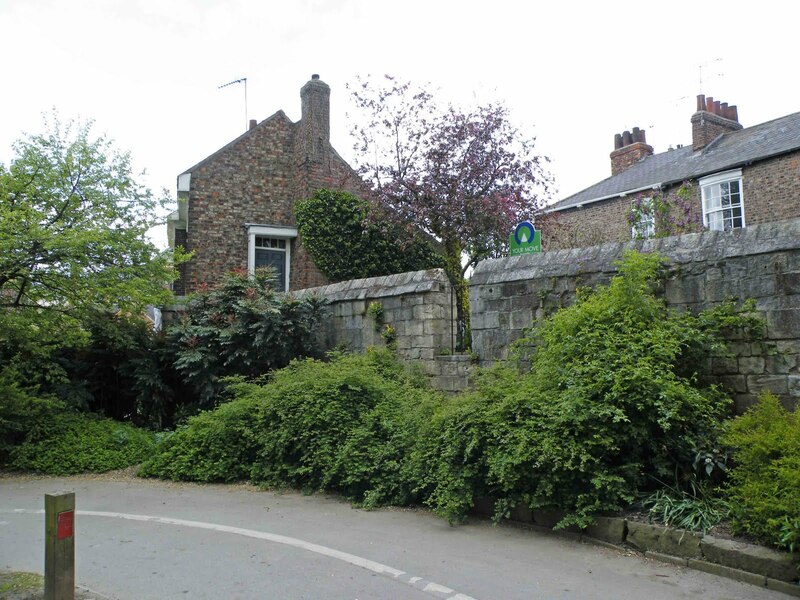 Situated at the North Eastern side of the city walls, at the junction of Layerthorpe, Peaseholme Green, Jewbury and Foss Island Road, this tower was previously known as the 'Lathorp Towere' and dates from around 1370. Above. A view of the tower from across Foss Island Road. The tower is built at an angle to the wall, and is supported on two buttresses, probably inserted to compensate for the marshy ground here. The wall contains some poor quality repairs at this point, possibly dating from the 1644 siege of York. 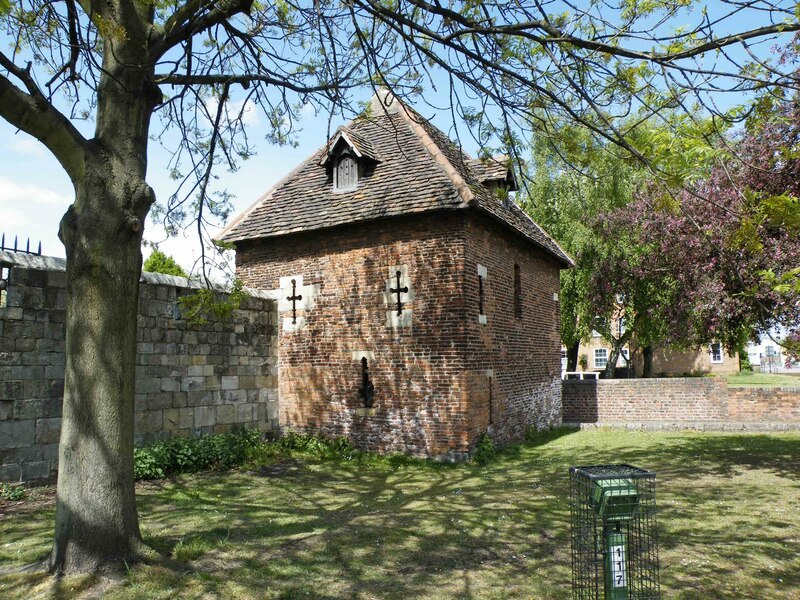 Layerthorpe Postern and its accompanying tower, stood to the East of Tower 34, but has long since gone. 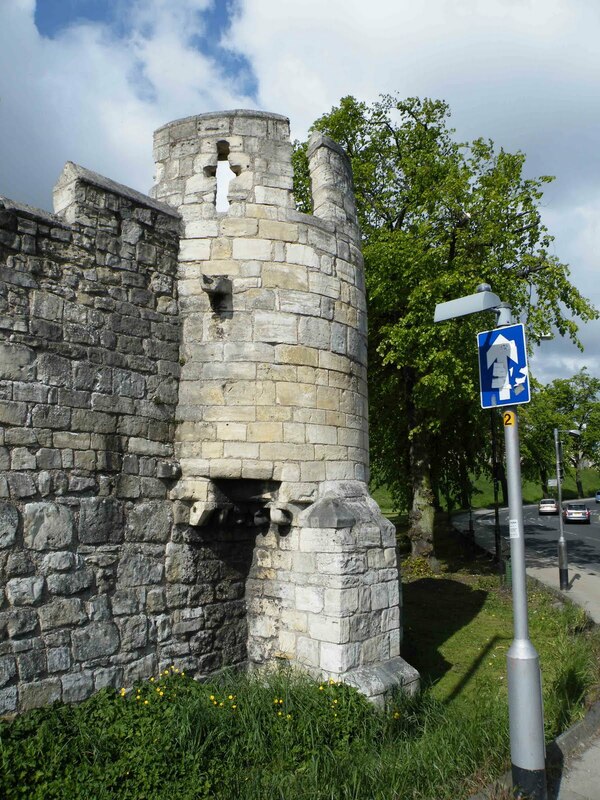 This tower marks the start of the walls at the Northern end of Foss Island Road, and is a great place to start your walk around York. 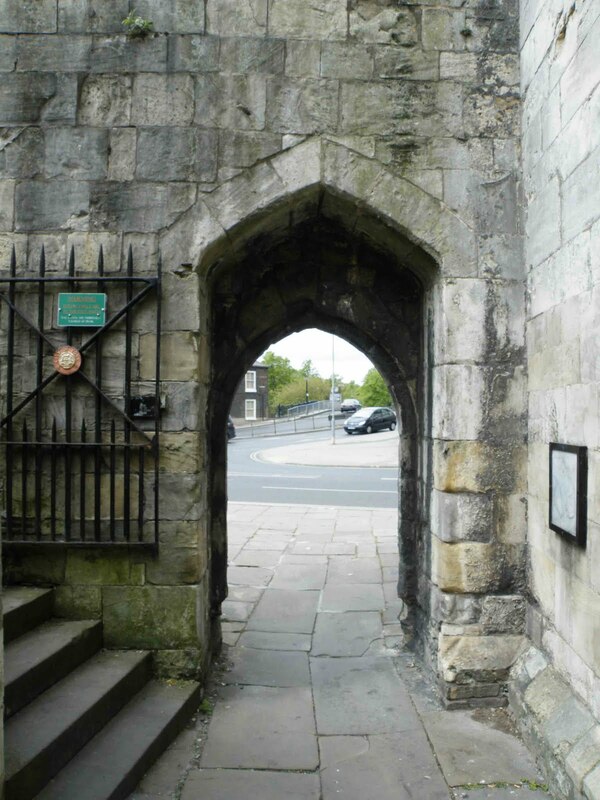 This small gateway is situated just a few yards South of the Castle and is attached to the Fishergate Tower. 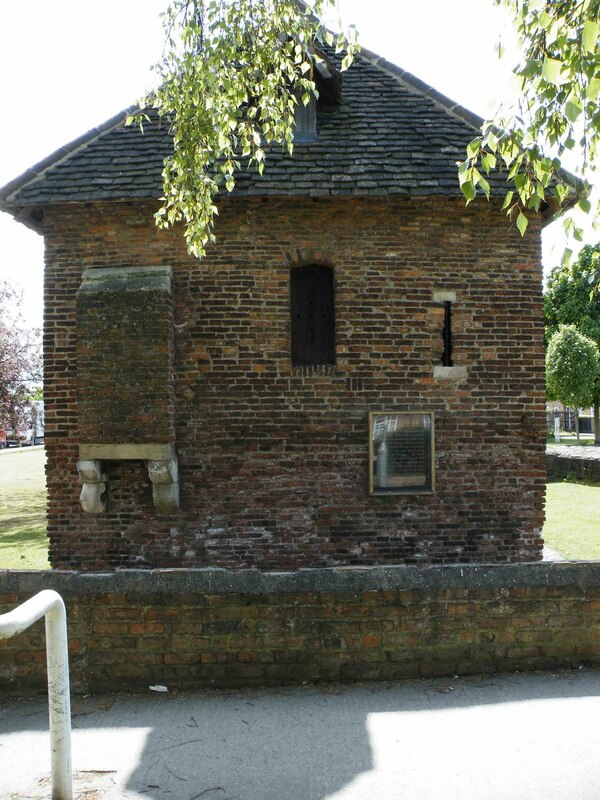 The postern is also referred to as St George's Postern, or Near the Skarletpit. Above. 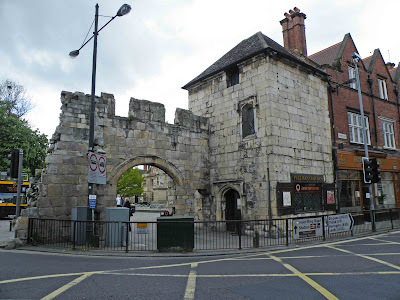 The Fishergate Postern next to the Fishergate Tower. Above. A view of the postern from outside the walls. It consists of a simple 14th century archway, which was reset into the wall when the adjoining tower was built in the early 16th century. 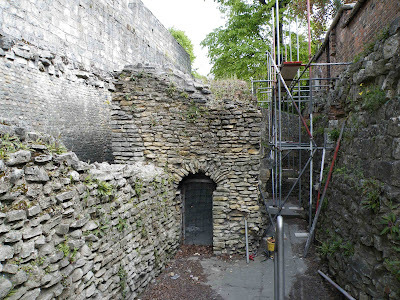 The postern still retains it portcullis slot, suggesting that it would once have been topped by a tower that would have housed any machinery to raise and lower the portcullis. Above. 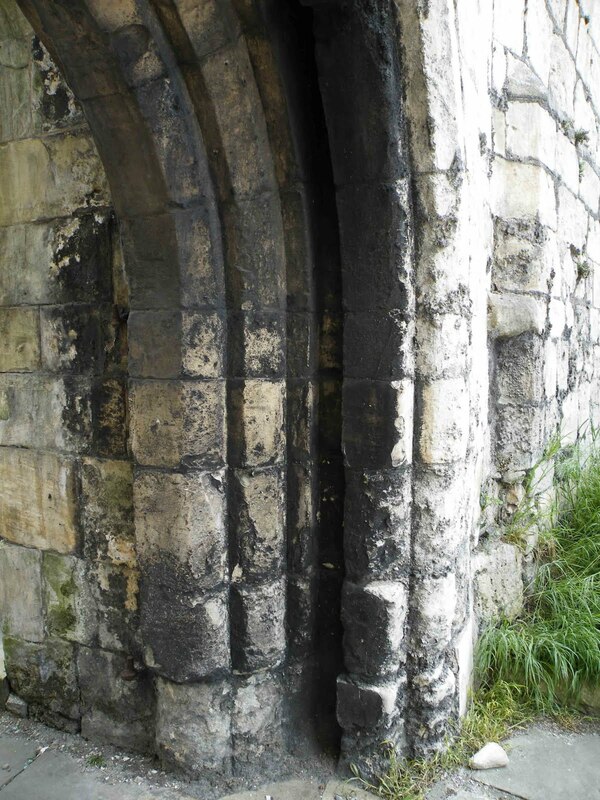 The right jamb of the postern, showing the portcullis groove. Above. 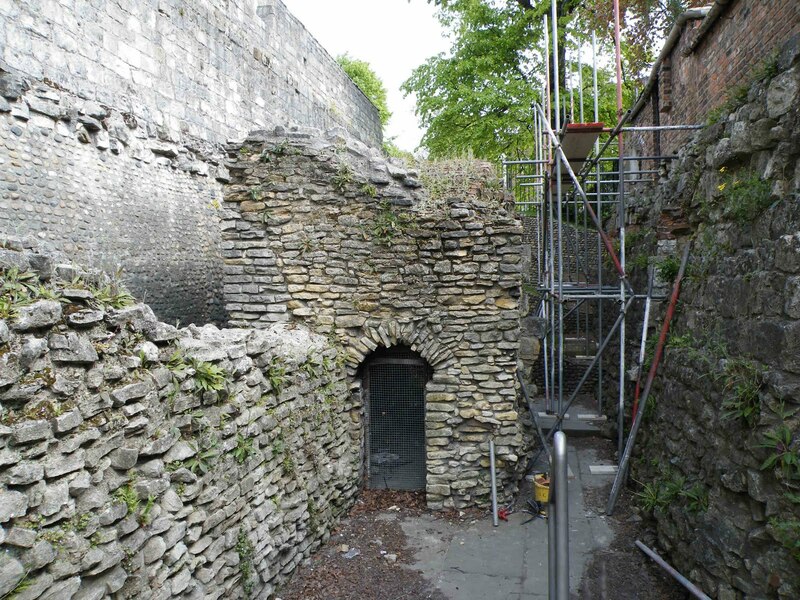 A view of the postern from within the walls, showing the stairs to the wall walk on the left. Iron hinges that would have had doors mounted on them, can still be seen. This small bar lays at the Southern end of the city, about a hundred yards South of the Fishergate Tower and postern. This is a simple gateway, consisting of a wide central arch with two smaller pedestrian arches either side. The central archway still has its portcullis groove. It is mentioned in documents of 1315, as Barram Fishergate, and later, in documents from 1401, rent details are mentioned, indicating that this gate may have had a house built over it. Above. External view of the gate. 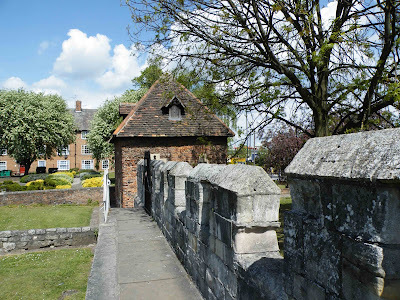 It's obvious that the gateway we see today is not the 14th or 15th century gateway, but a much changed structure, probably dating from 1442,43, when building works were recorded here, as well as the hanging of new wooden gates. A sketch dated 1675, shows the gate with two rectangular towers either side of the central arches. Above. Internal view of the gate. Fishergate Bar was badly damaged during rioting in 1489....rioting that came about as the result of Henry VII's taxation. It was not repaired, but bricked up instead. There were plans to open the bar and repair it in 1502, but it was not until 1827 that it was finally consolidated and re-opened. The Red Tower sits on the Eastern extremities of York's defences. It was the last line of defence at the Northern tip of the city's walls as they run along side what is now Foss Islands Road. There were no stone defences between the Red Tower and the Layerthorpe Postern (now gone) which left about a half mile gap in the walls. However....the land here was considered impassable due to the Kings Fishpool. This artificial marshland was created after 1069 when the Normans damned the River Foss where it joined the River Ouse. 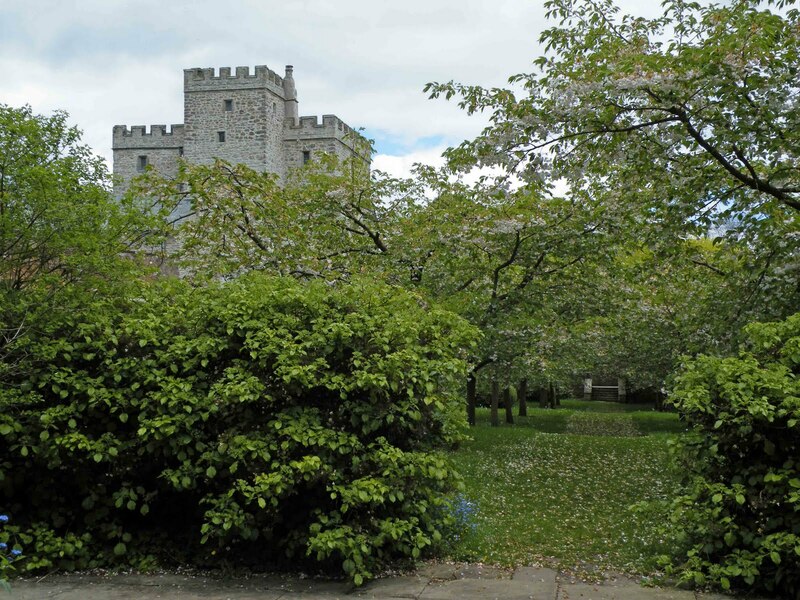 The result was that the moat around Cliffords Tower and the rest of the castle was filled with water, and the lower lying area upstream also became flooded thus creating the Kings Fishpool. It is estimated that around 100 acres of 'good farmland' was lost to the flooding of this area. At its widest point, this wetland was about a quarter of a mile wide. Above. Looking North up Foss Island Road. 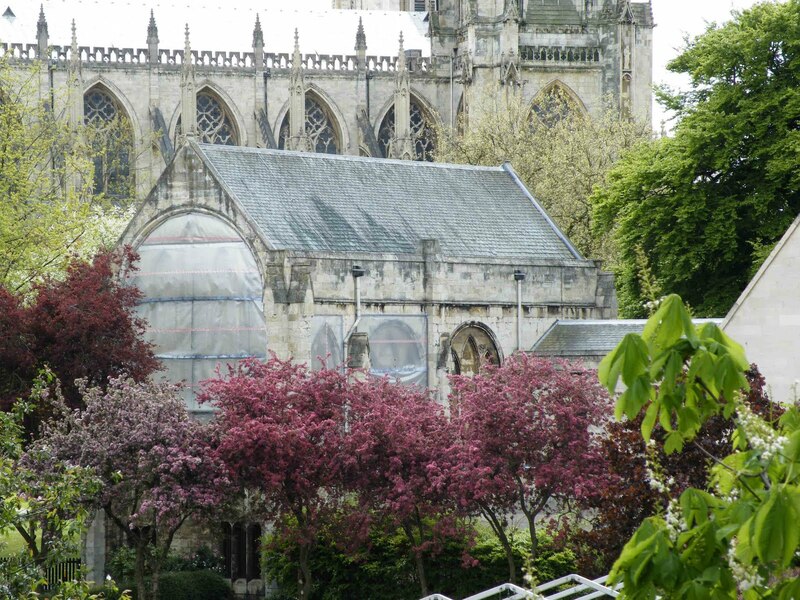 Nearly 600 hundred years later, the Kings Fishpool was still regarded as a significant barrier to anyone wanting to gain entry to the city of York. 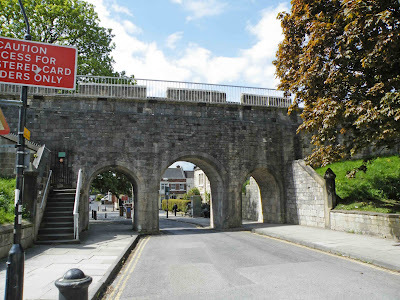 When the city was besieged by Parliamentarian forces in 1644 plans were drawn up for building a bridge over this area, to gain access to the city and bypass the walls and gates. Above. The tower with wall stretching away to the South. The Red Tower is a very different structure to that shown on sketches dated 1776. In these drawings, it is shown without a roof and the whole of its Western wall collapsed. 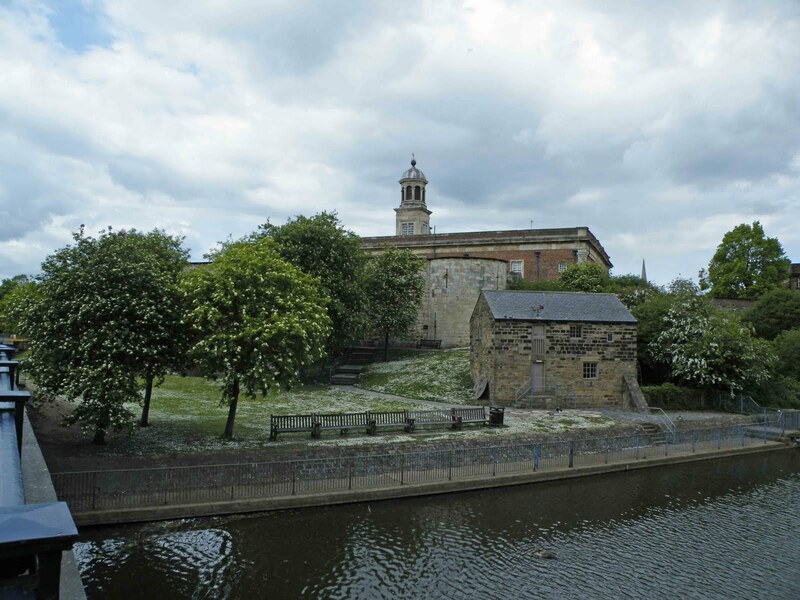 It first appears in documents as 'The Rede tower in the water of the Foss', sometime around 1511. This document details the supply of artillery to the tower and the nearby walls, and also states that the base of the tower was lapped by the rivers waters. Above. A view of the tower showing the garde-robe on the North wall. 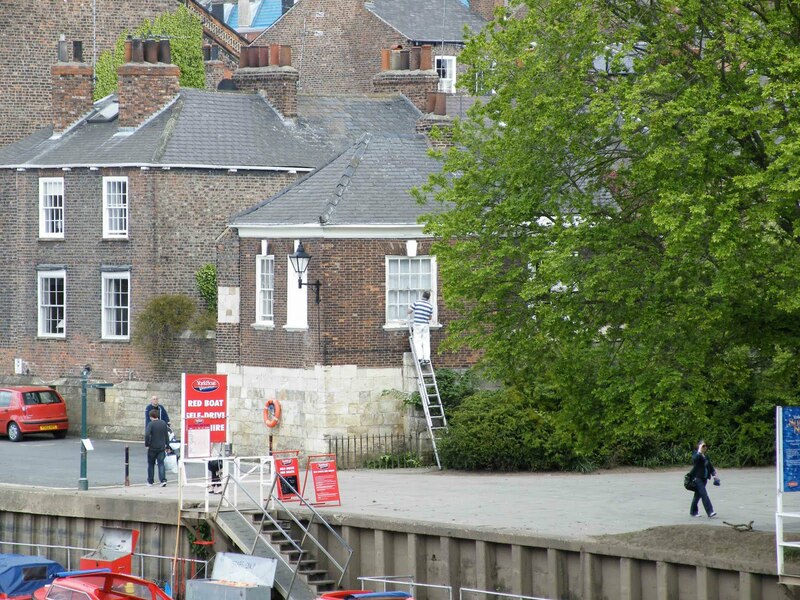 The Red Tower is unusual in York, in that it is constructed of red brick. It is likely that this material was much cheaper than the lighter coloured stone used elsewhere in the city's towers and walls. Above. A view of the tower looking North from the walls. The fact that the tower was supplied with artillery in 1511 possibly indicates that it was already standing at this point in time. It may have been built sometime around 1490....a tower built of brick and by the brick layers instead of the masons is certainly mentioned at this time, causing friction between the two sets of craftsmen. The masons were traditionally employed to build the walls and towers, and were somewhat irked that the more lowly brick layers were favoured for this project. 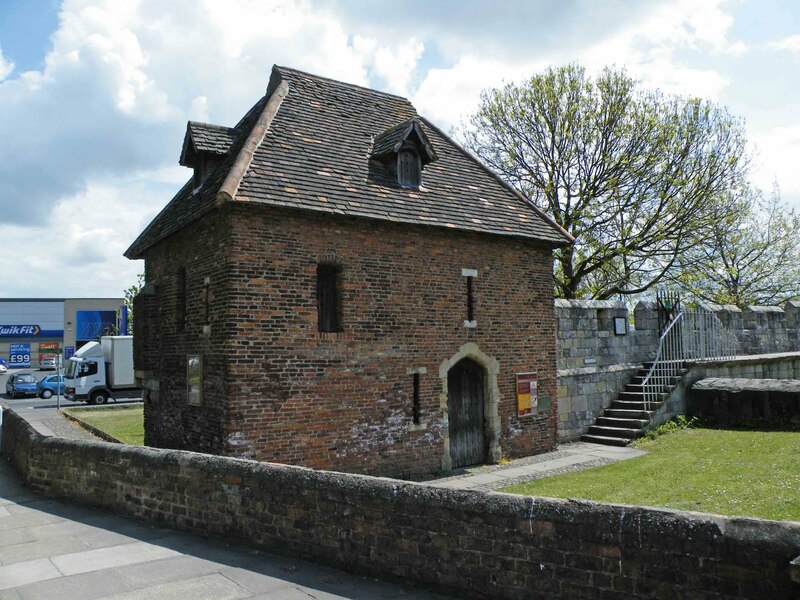 The Red Tower is a small rectangular building, looking more like a small house than a defensive tower. It once stood to around thirty feet, but now stands to around twenty from floor to eves (the pitched roof is not original) The ground level has been raised here, burying about ten feet of wall. The tower was heavily repaired between 1541 and 1545, and plans of the building dated 1616, still show it with a flat roof. Above. A view of the tower from outside the walls, looking North. A photograph dated 1853, shows that further repairs had been carried out, with more repairs done in 1857. This final period of repair and rebuilding, essentially left us with the tower we see today. The ditch, dug out in 1645, is no longer visible, having been filled in. This relatively modern gateway bridges Victor Street as the leaves the city on its Southern side. 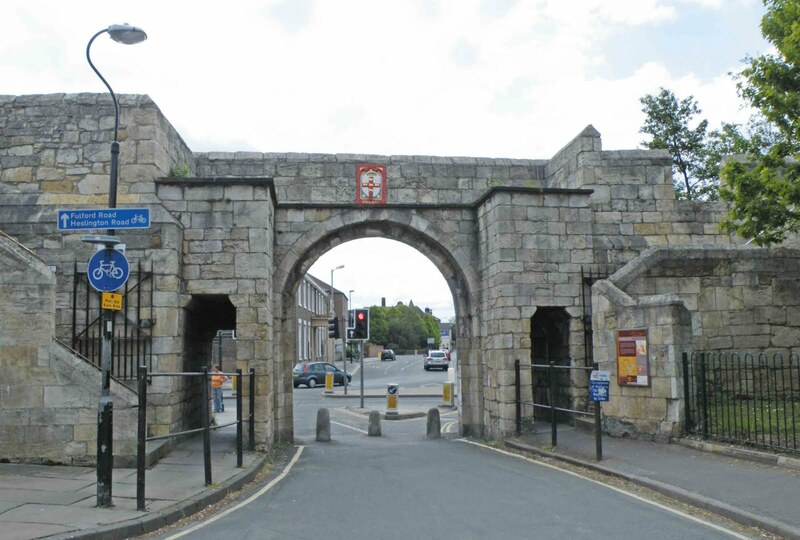 Opened in 1838, it was purely a functional gateway, enabling traffic to exit the city from the Nunnery Lane area. Above. A view of the bar from outside the walls. The gate consists of a central archway with two flanking pedestrian arches. The two additional arches were created in 1864 and 1867. Above. A view of the bar from inside the walls. As this gate was being built, an earlier but blocked gate was discovered, possibly representing a medieval gateway called Lounelith in historical records dating from the 12th century. This gate had been bricked up with huge stones, wooden piles and mounds of earth. 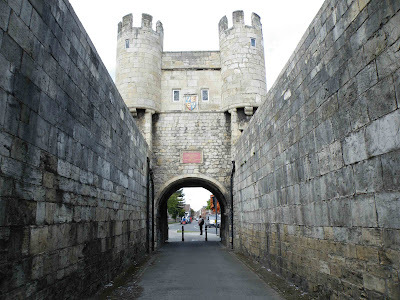 There seems to be no historical information relating as to why this gateway would have been blocked, but one suggestion is that it was closed to secure York's defences in 1569, during the Northern rebellion. Situated at the end of a short 100 metre stretch of wall that would have once connected the Davy Tower to the Castlegate Postern (now gone!) this tower probably doesn't feature on anyone's visit to York these days. This stretch of wall, judging by some contemporary drawings of this specific area, does not appear to have ever been very substantial....although today it is even lower. 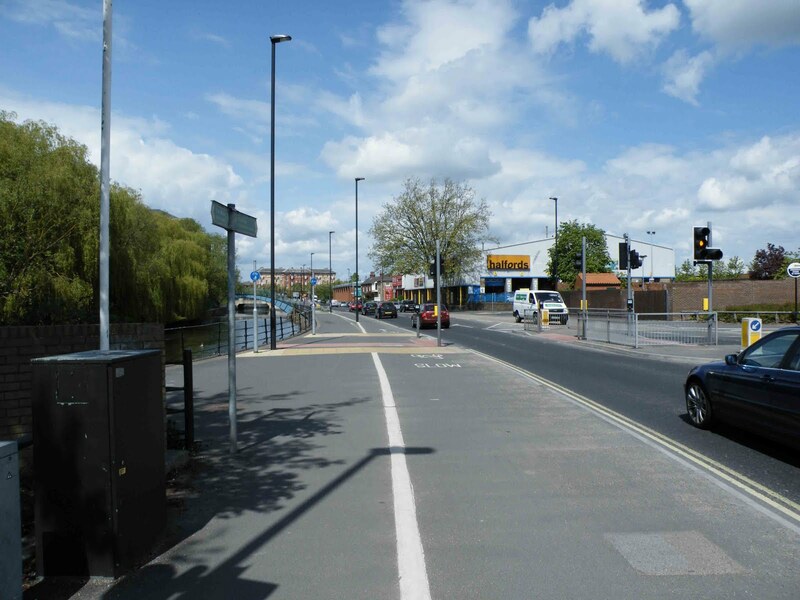 This is partly due to the fact that the surrounding ground has been raised for added flood defences. The lower levels of the Davy Tower, and the wall leading off it, are buried beneath the earth for this reason. 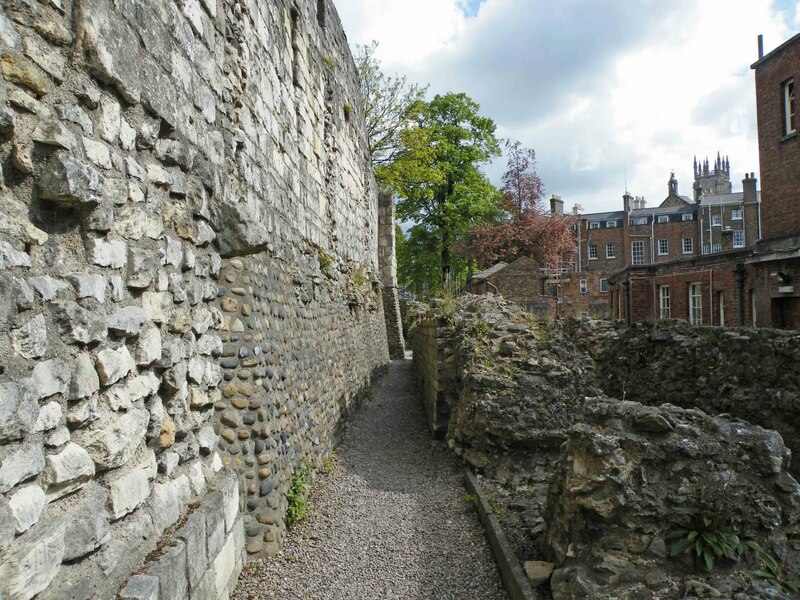 There is a a very narrow wall walk on the inside of the wall, which may have been emboldened with a timber platform. Some of the wall's embrasures have been bricked up and the outer ditch, dug out in 1454, has long since been filled in. 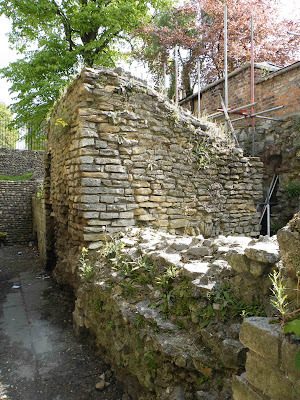 The Davy Tower sits at the South Western end of this short stretch of wall, and probably dates from the early 1300's. It is mentioned in documents dated 1315 and again in 1380, as the Davytoure. It was also historically known as the Tower of the Friars Minor, due to its proximity to the Franciscan Friary. 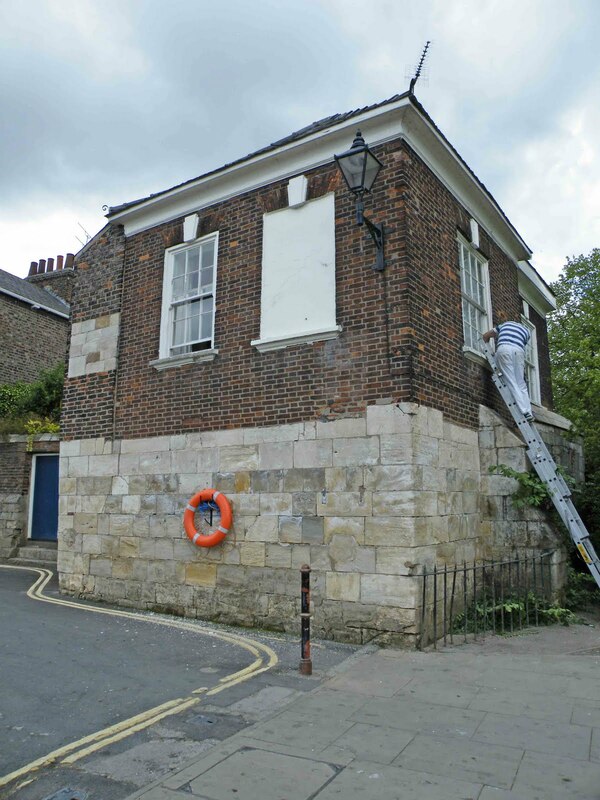 Originally a rectangular building, it appears to have lost its North West angle. Hiding behind some bushes to the side, one of the tower's walls still contains an arrow slit and a small gun loop. Above. A view of the tower from across the river. Between 1731 and 1750, a brick summer house was incorporated into the South angle of the tower. 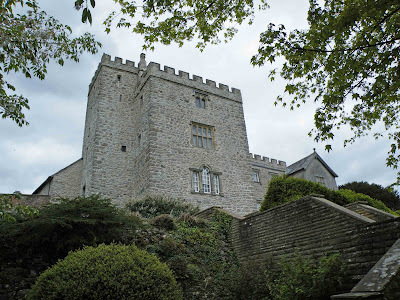 The whole structure has now been converted to a house, and only the pale stone work now visible to a height of about ten feet, represents the remains of the medieval stone work. 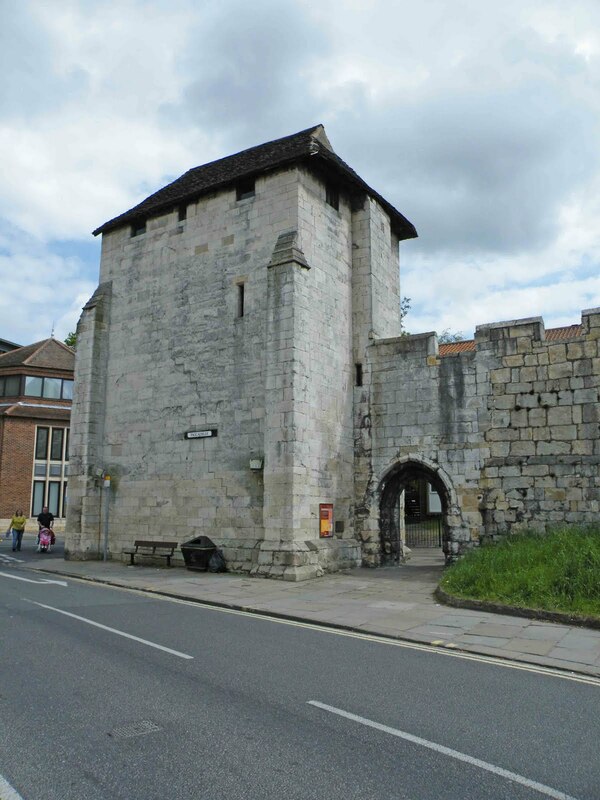 Like Barker Tower and Lendal Tower, the Davy Tower would have been used to secure a chain across the River Ouse, with the other side of the chain being secured to the now demolished Skeldergate Postern tower. This beautiful, almost complete gateway into the city of York, sits at the junction of Lawrence Street and Foss Islands Road. 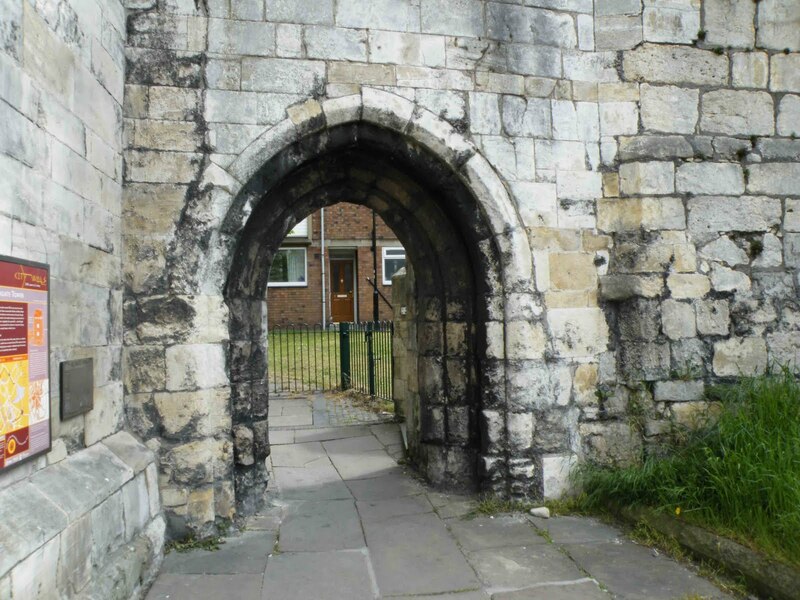 The earliest historical mention of the gateway is from documentation dating from the 12th century, and indeed, the earliest pieces of masonry here at Walmgate, date from the this period too. 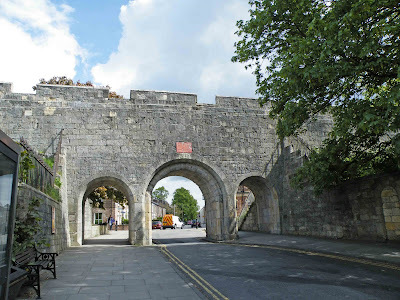 The Bar as we see it today, dates mostly from the 14th century, with only the inner arch of the main gateway dating from the earlier (12th century) period. Above. A view of the beautifully restored interior of Walmgate Bar. The Bar is two storeys tall and has two corbel led bartizans on its external face. 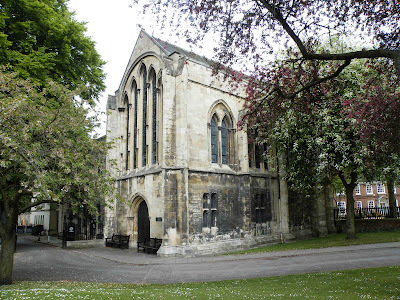 It also retains its portcullis and the huge 15th century oak doors. Above. A view of the exterior of the Bar, showing the barbican. The interior timber extension is supported on two stone columns, and dates from a 1584\86 period of repair. Above. A full length view of the barbican. 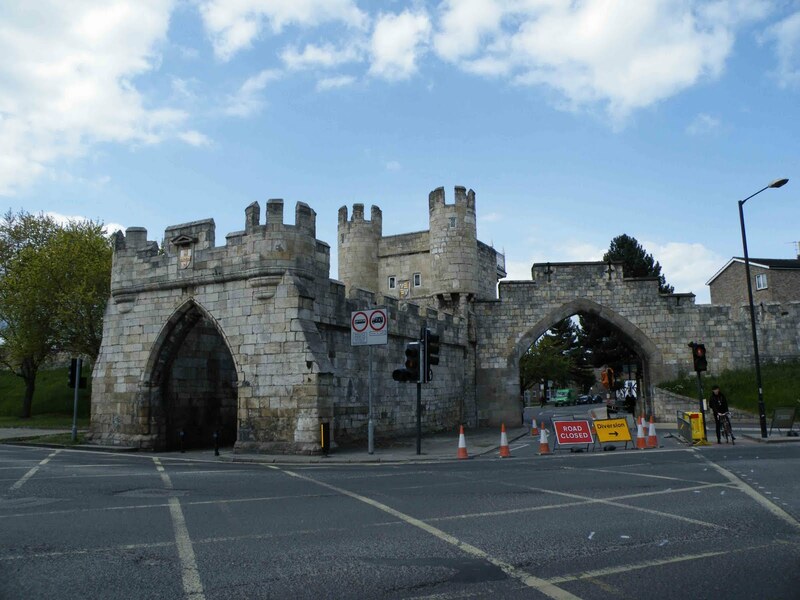 Walmgate Bar has suffered much over the years, and has subsequently undergone years of repair and rebuilding. 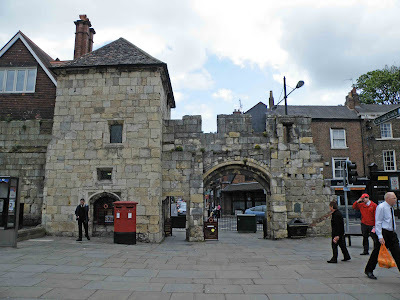 In 1489 the Bar was damaged by fire, as was Fishergate Bar. Walmgate was defensively strengthened in 1511, with the addition of artillery. Above. Looking down the barbican into the city. The Bar was assaulted during the siege of York in 1644, when canon fire was directed on it from Lamel Hill, and from the church yard of St Lawrence. The Bar was also mined at this time, by the attacking Parliamentarian forces. 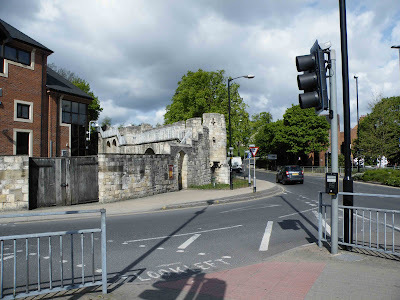 After the siege, Walmgate was temporarily patched up and a huge earthen rampart was thrown up across Walmgate street. 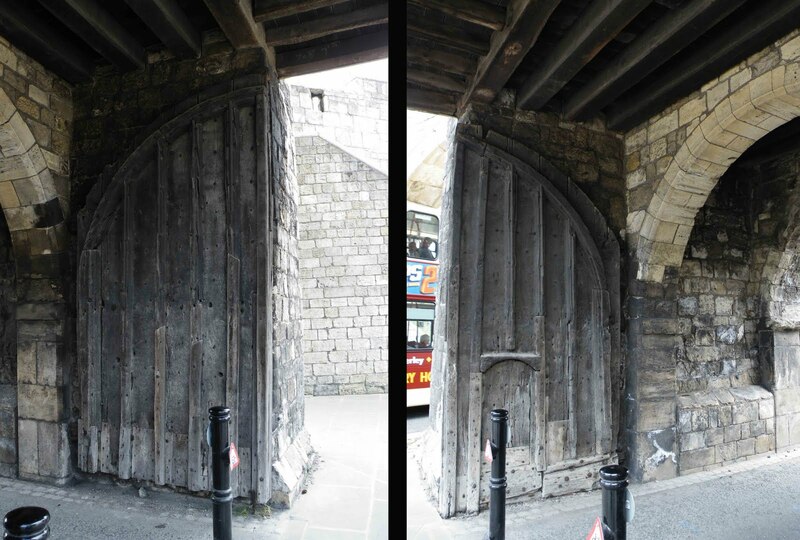 Permanent repairs weren’t conducted until 1648. The attempted mine was filled in in 1645, but it apparently left a ‘dip’ in the North wall of the barbican. The City Corporation couldn’t afford the repairs in 1646, but were given a Parliamentarian grant of £5000 to repair it completely. Above. The 15th century oak gates. 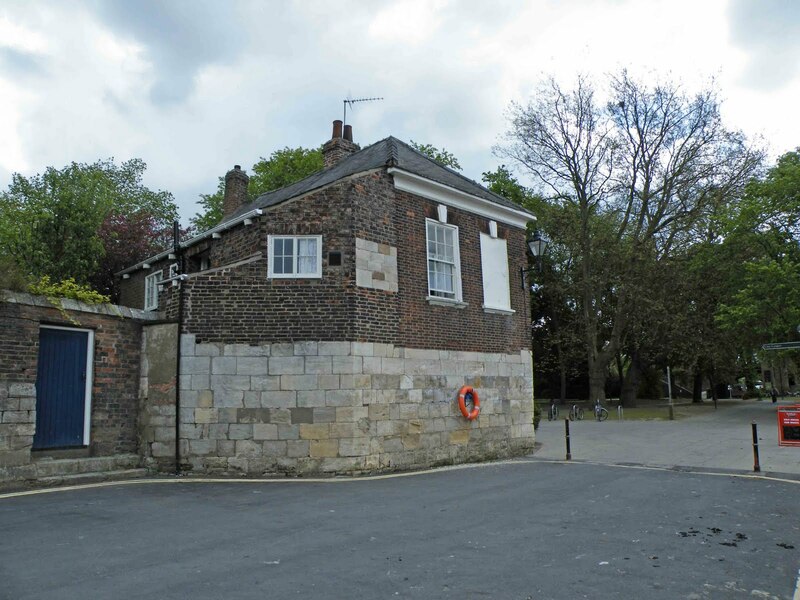 In the late 18th century, houses had been built right up to the barbican’s walls, and the battlements and the bartizans and part of the North wall of the barbican were in a poor state of repair. Expense seems to have been a problem again, where repairs were concerned, and it was recommended that the barbican be removed completely (as had happened at the other bars) Luckily for us, the barbican was finally repaired in 1840, with all the housing built up against its walls completely removed. Walmgate is now the only town gate in the whole of England, that retains its barbican. 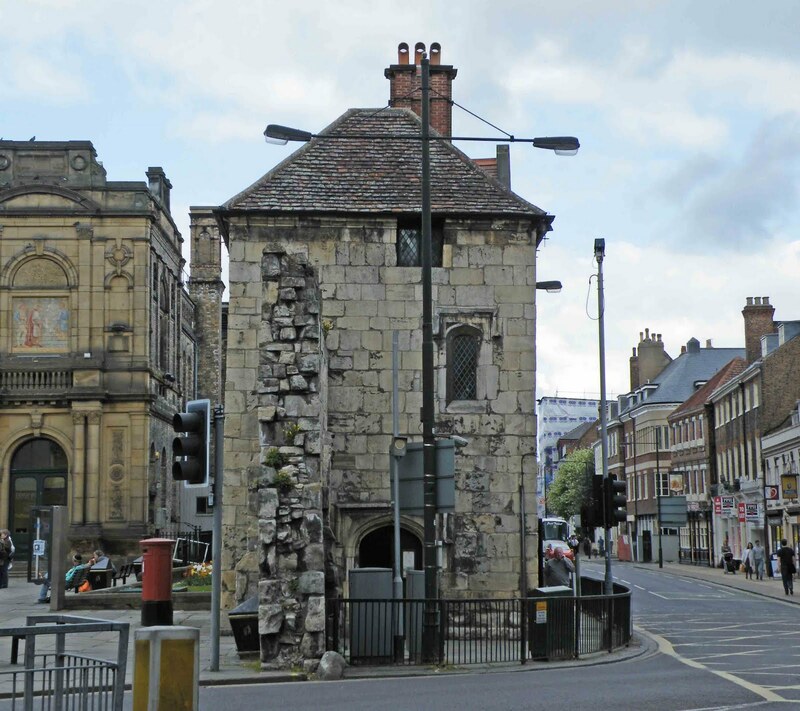 This postern tower and gateway can be found at the junction of Gillygate, Bootham and High Petergate. It lays a few feet to the North West of Bootham Bar, and consists of a three storey tower, a portion of wall some three feet thick, and a gateway or postern. Above. A view of the tower from Gillygate to the North East. The tower has a gabled roof now, but it appears that the windows on the South East and North West would once have been crenelations on a flat topped tower. Above. A view of the tower showing the thickness of the wall from the South East. The tower and its attendant postern marked the point at which the City walls met the precinct walls of the Abbey of St Mary. 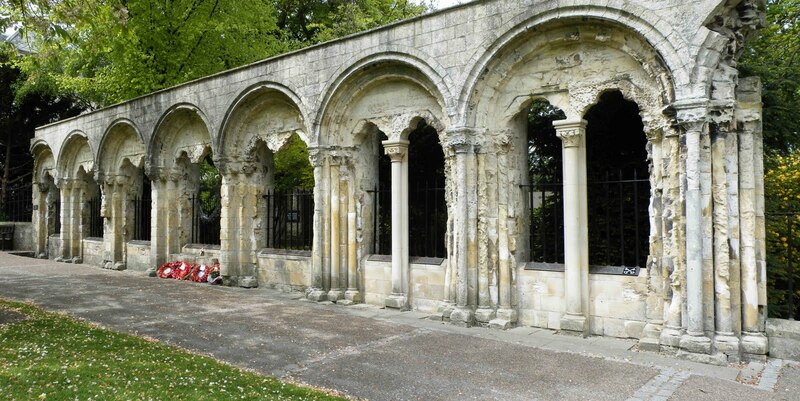 I'm not sure if their upkeep would have fallen to the Abbey or the city of York. Above. A view of the tower from the South, showing the postern. 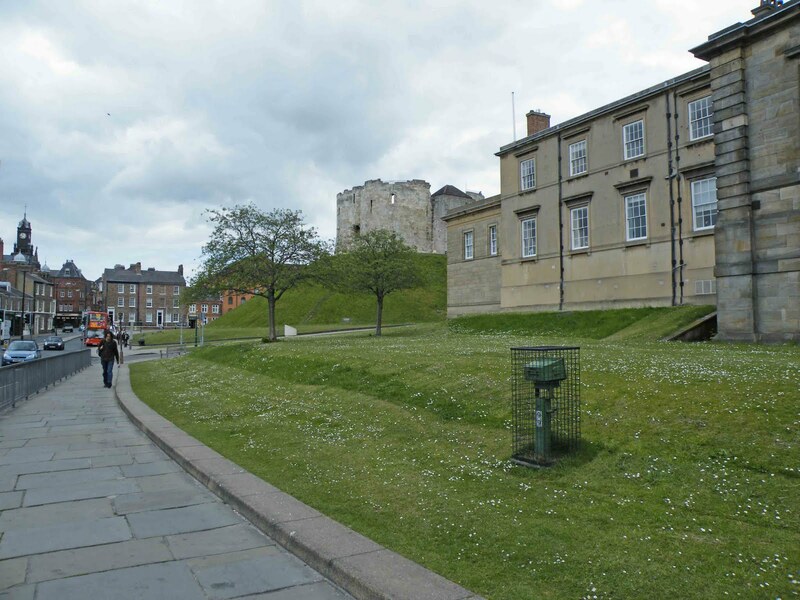 The tower and its postern are best viewed from the crossing at Gillygate, and also from the plaza in front of York Art Gallery. There is a short portion of Roman wall, topped with Medieval masonry, that sits between the South Eastern extremities of the ruined St Mary’s Abbey, and the Museum gardens. Here, tucked between the base of the wall and the Museum the Anglian tower hides. 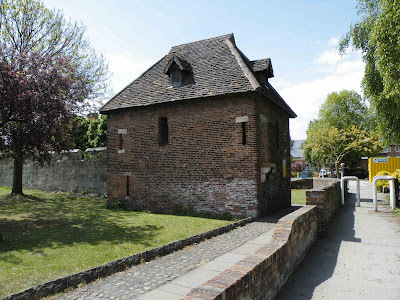 It is a small square tower, with two narrow doorways, and until about 1839, was buried beneath the ramparts of the inner part of the old Roman walls. It was ‘rediscovered’ when the ramparts were dug away, but only excavated in 1969. Above. A view along the base of the old Roman wall. It appears that the tower was built to block a breach in the old Roman walls, and to this day, dating it seems to be a difficult question to answer. Above. The front of the tower. It appears that the tower was built to block a breach in the old Roman walls, and to this day, dating it seems to be a difficult question to answer. It is built of poorer quality stone than the surrounding Roman walls, perhaps suggesting that it is older than the surviving Roman remains. Some historians think it could be late Roman in date, but even to this day, it’s age has not been satisfactorily ascertained. Above. A view of the outside face of the tower. 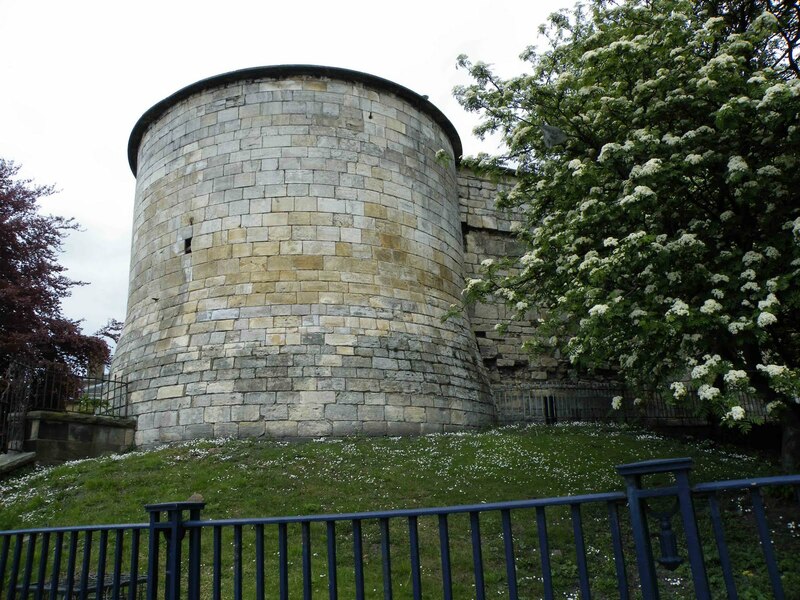 It lays only a few yards from the interior of the Roman Multangular tower, and forms an interesting section of the early defences of the city of York. 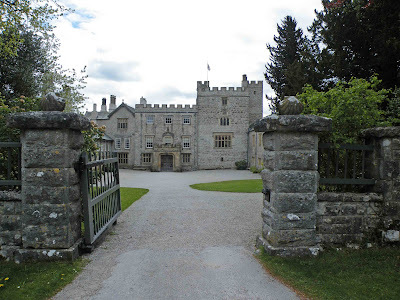 Taking advantage of a bright but overcast day, a trip to Sizergh was on the cards. It wasn't very busy so I was able to grab some pretty good photos, especially from the gardens as they'd been closed on previous visits. 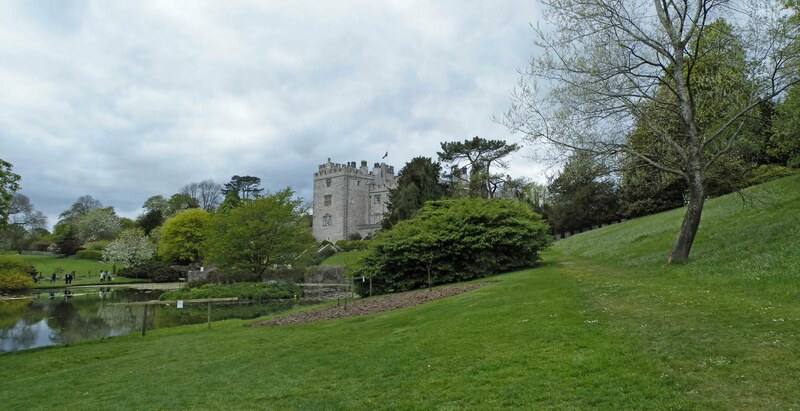 So this time, the castle has been photographed within its gardens and landscaping context. Above. The castle from the South East across the pond. Above. A view of the castle from the North East. Above. View of the castle from the banks of the pond. Above. A view of the castle from the gateway to the courtyard. Note the scallop shells on top of each of the gate-posts. Thank you to my eagle-eyed wife who spotted them. These relate to the scallops shown on the Strickland coat of arms, very much in evidence all around the gardens and the castle. For instance, on my recent visit, the family flag was flying on the top of the tower. Above. Another view of the castle from the gardens below. Above. A view of the castle from a gazebo hidden in the orchard. Above. The Stricklands of Sizergh arms in the Strickland chapel at Kendal. 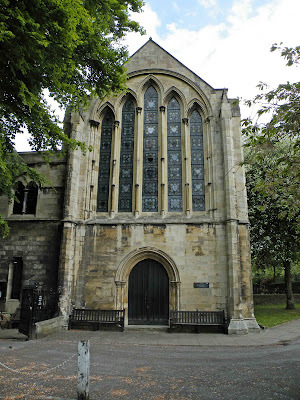 The window shown above, is situated in the East wall of the Strickland chapel in the parish church in Kendal. It shows the three silver scallops, representing pilgrimage, on a black background with a patterned edge all around the shield. These arms are specifically belong to the Stricklands of Sizergh Castle. The Dacre family have a similar coat of arms, with three silver scallops on a black background, but importantly, without the patterned edge. Above. 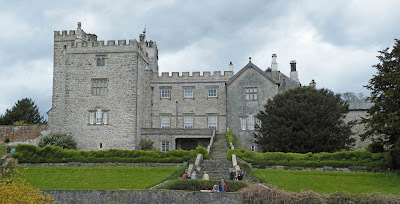 Again...the Stricklands of Sizergh's arms over the entrance to the Strickland chapel at Kendal. The shield and arms shown above, are again specifically of the Stricklands of Sizergh Castle. They can be found above the doorway in the wooden panelling of the screen that marks the Strickland Chapel in Kendal parish church. There are various forms of these arms throughout Sizergh Castle, relating to the many marriages into the family by other families....each time small additions and changes were made to the coat of arms. Check the link for loads of information on the Strickland family history. Check out the link for details on the opening times for Sizergh Castle. And if you fancy a bite to eat, or a look around the farm shop, check the link for Low Sizergh Barn nearby.